Our main race is the Worden park 10k. In addition we host one of the seven Inter Club Grand Prix road race each year and in some years we host one of the Mid Lancs Cross Country races. These give members an opportunity to take part in organising and marshalling races. The Worden Park 10k is our annual race. Originally “The Boxing Day 10k”, the race had to be cancelled in 2009 and 2010 due to adverse weather conditions. In 2011 it moved to its current slot in May. The race is normally held on the third Sunday in May, is open to ages 15 and over on race day, and held under UK Athletics Rules. The next race will take place on Sunday 19th May 2019 for more details and on-line booking click here or down load our postal entry form here. 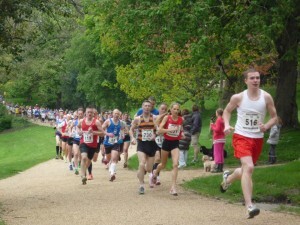 In 2012, we hosted the first of the Guild series races, a 5k around Avenham and Miller parks.